Never miss an opportunity with DowJones, TradingCentral and Autochartist. Predict a growth or a fall in the exchange rates and other trading instruments before it happened using free analytical sources available to you in Trader Room. 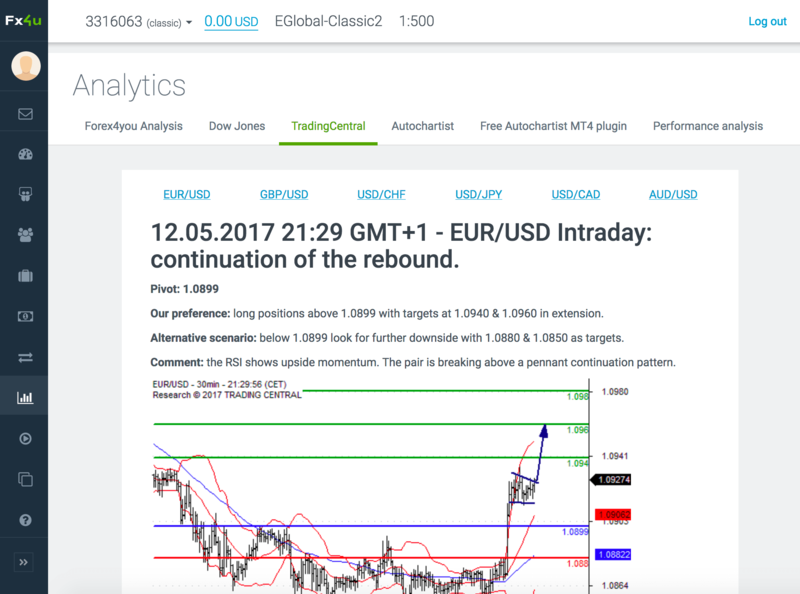 Register account at Share4you or Forex4you and get access to all analysis for free in your Trader Room “Analytics” section. Be informed and be prepared for your trading day. Hottest currency market news and reports, comments on key currency positions, central banks reviews, political and legislation news. Available for free to all our clients in Trader Room Analytics section. 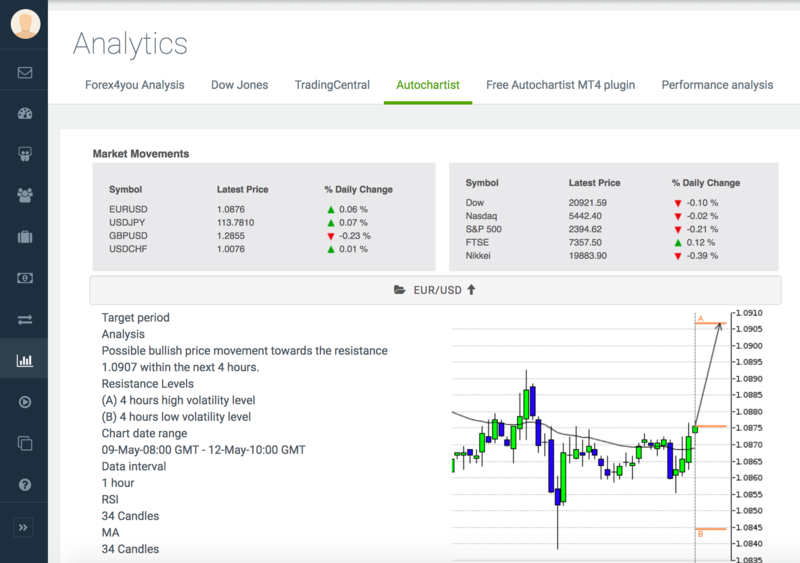 Never miss a trading opportunity with automatic pattern recognition, volatility analysis, reports, quality indicators and key levels, covering 17 major currency pairs. A professional easy-to-read technical analysis source for the most traded six currency pairs is an essential instrument based on many years of research. 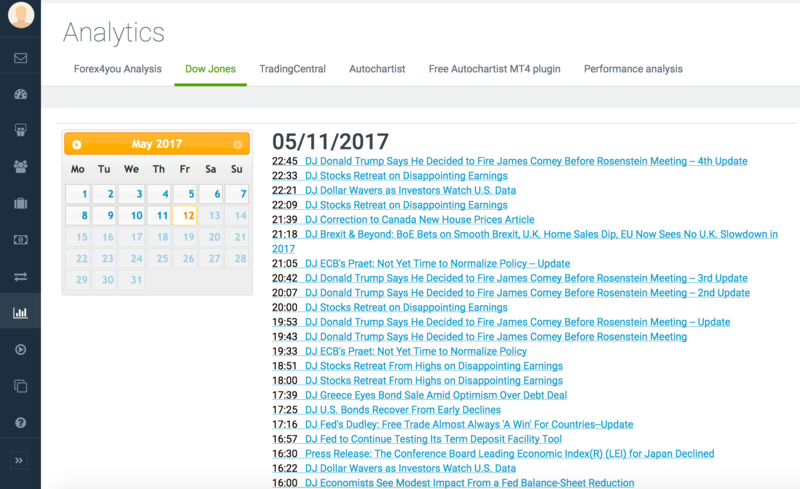 How to read the Trading Central reports? The green lines on the chart are resistence lines, red ones — support lines and a blue line — an alternative scenario line, reaching which it is advised to switch to the alternative scenario from the preferred one.